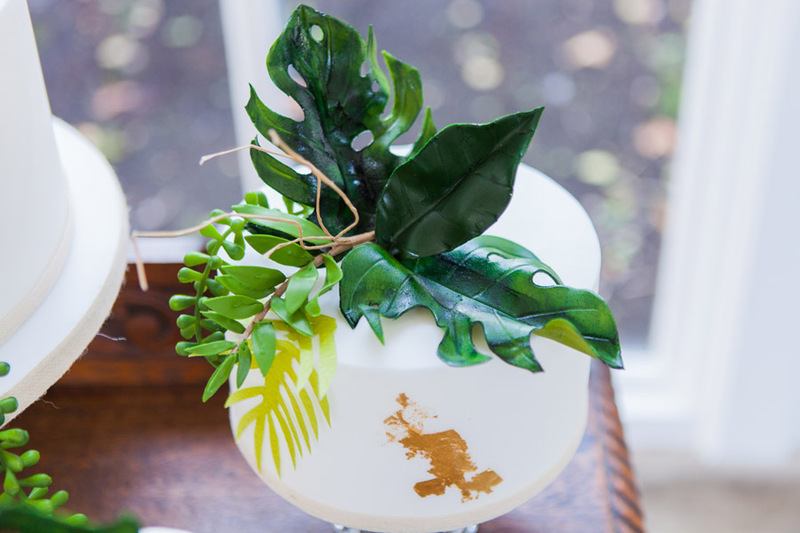 I’m sure I’m not the only one to have a bit of a houseplant ‘thing’ going on. 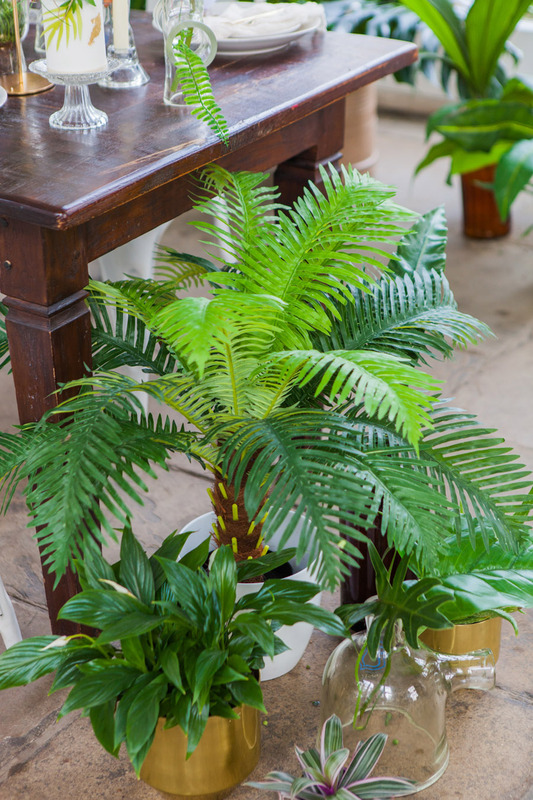 I have succulents and ferns, cacti and plenty of palm-tree type things whose names I don’t even know! 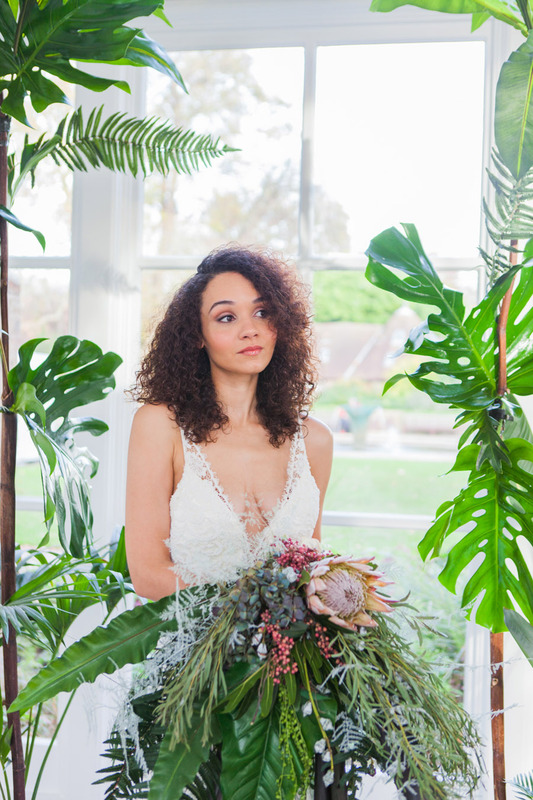 I’m also a big believer in styling your wedding with the things you love, so the day is beautiful and feels natural, fitting your personalities too. 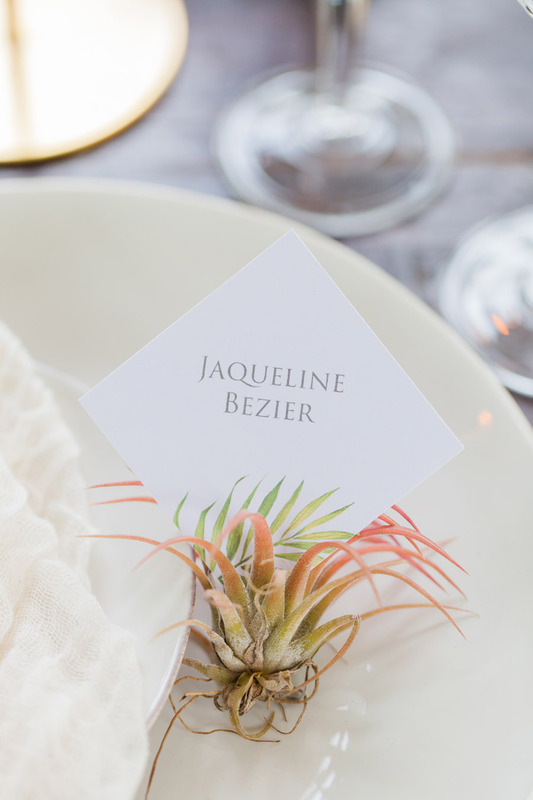 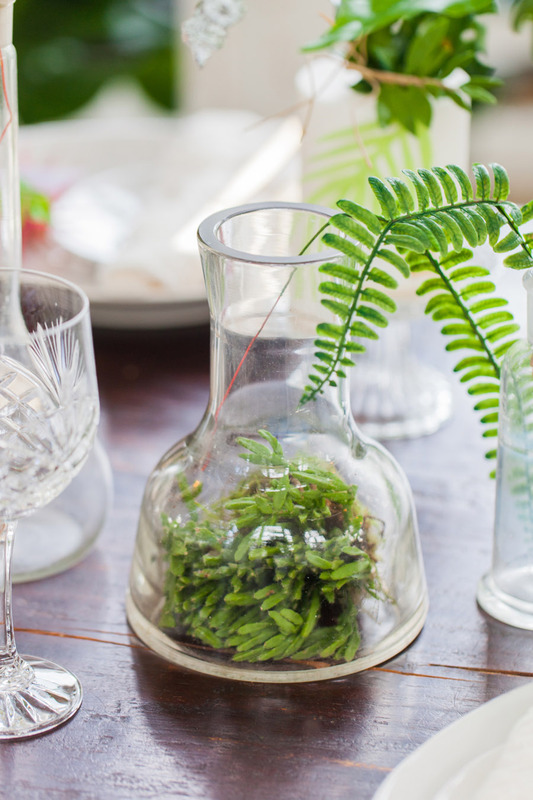 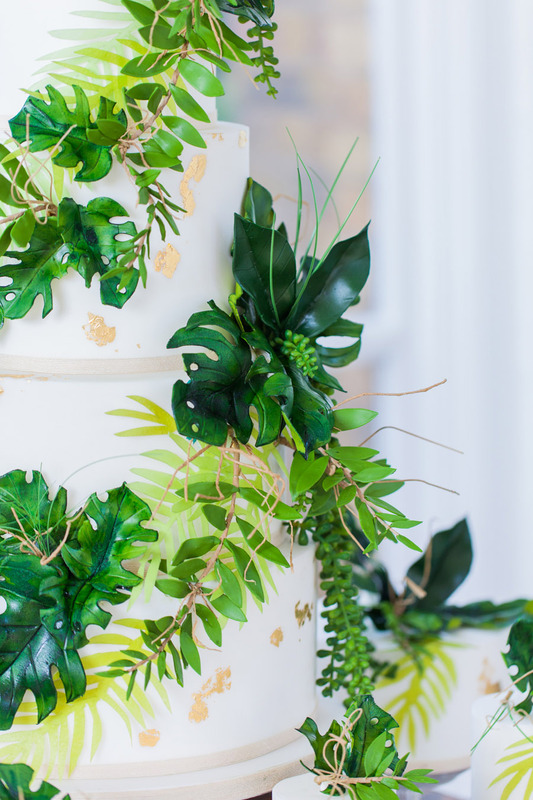 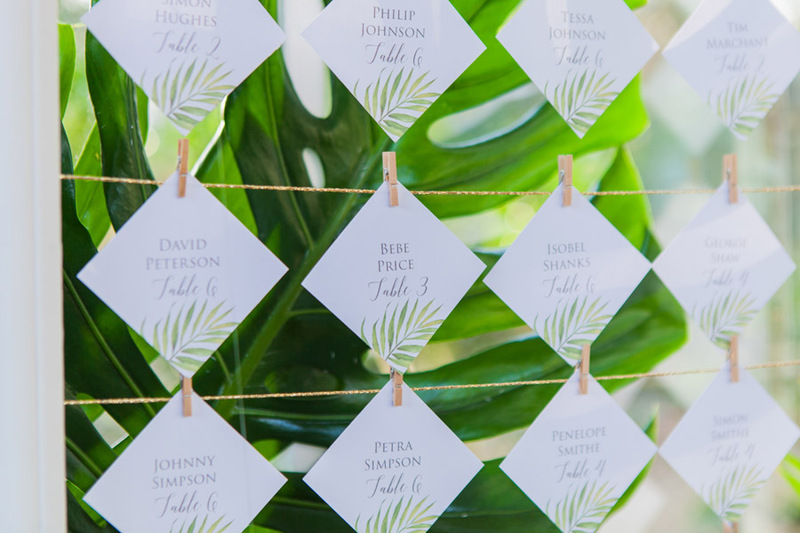 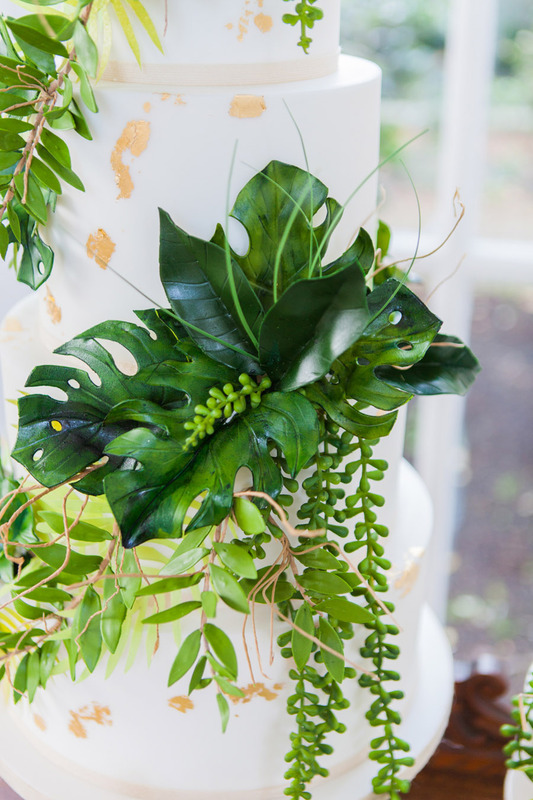 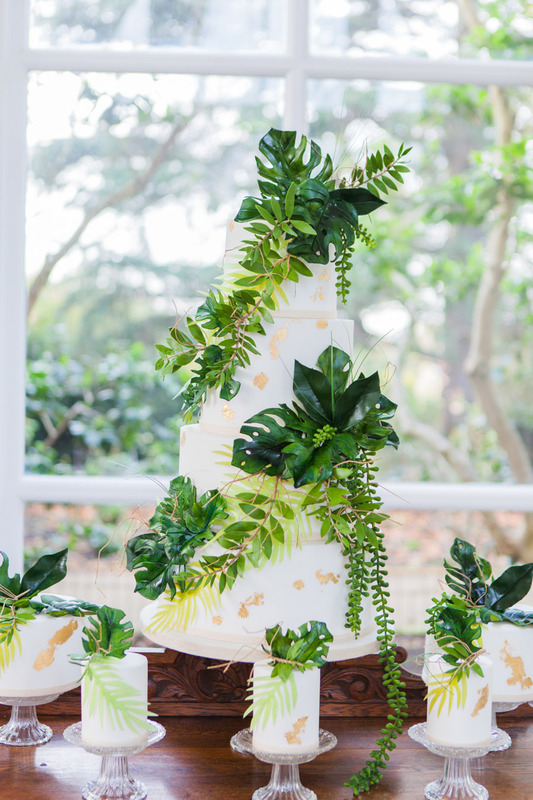 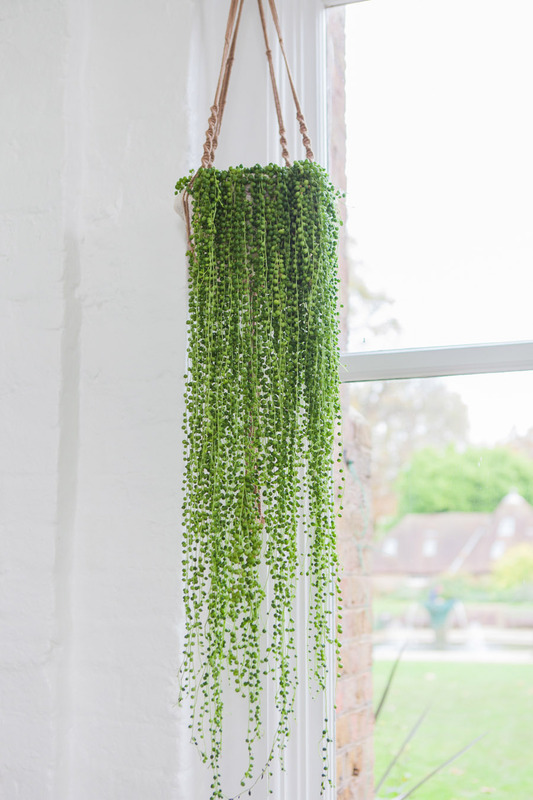 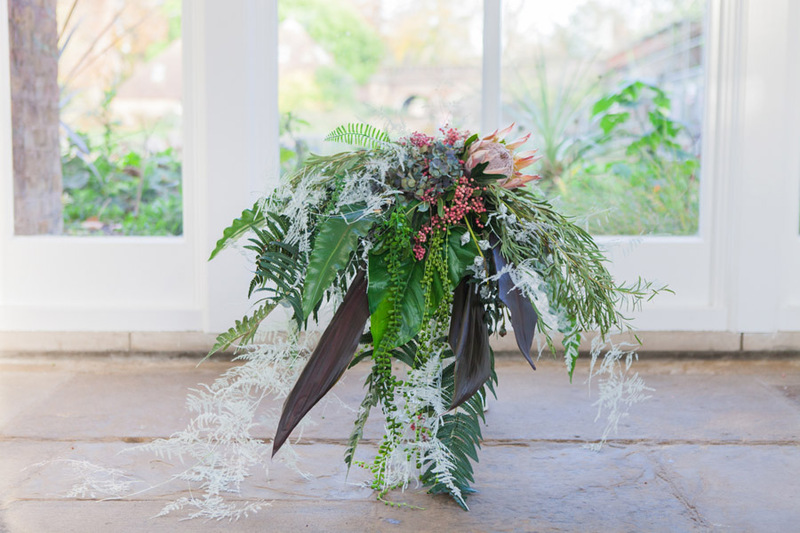 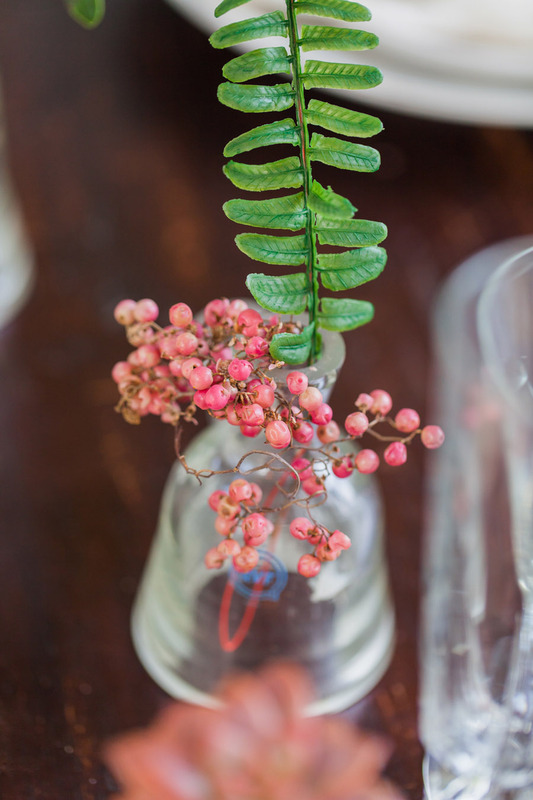 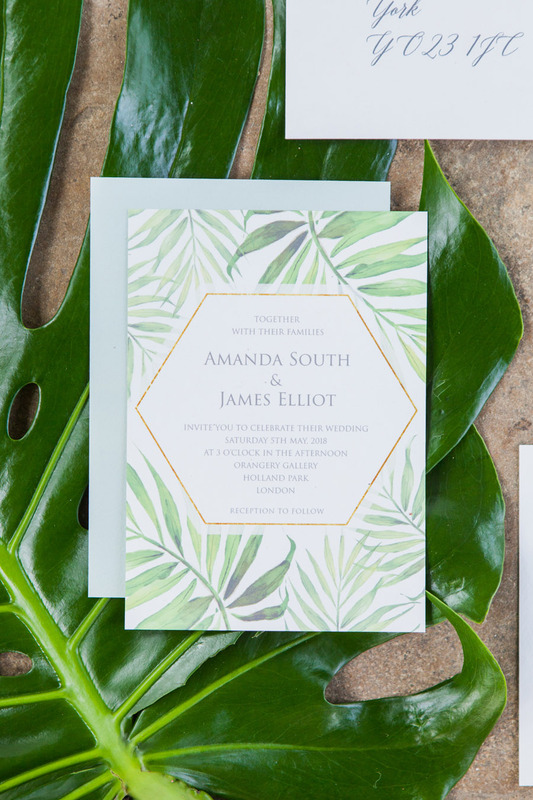 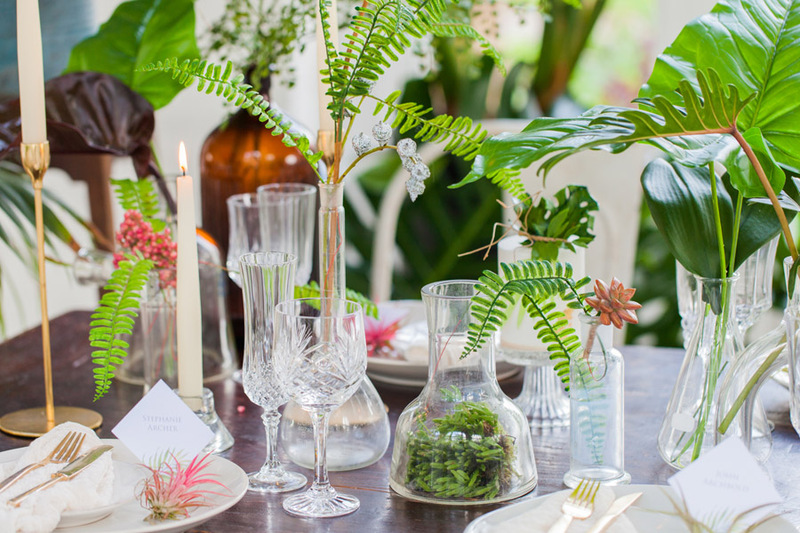 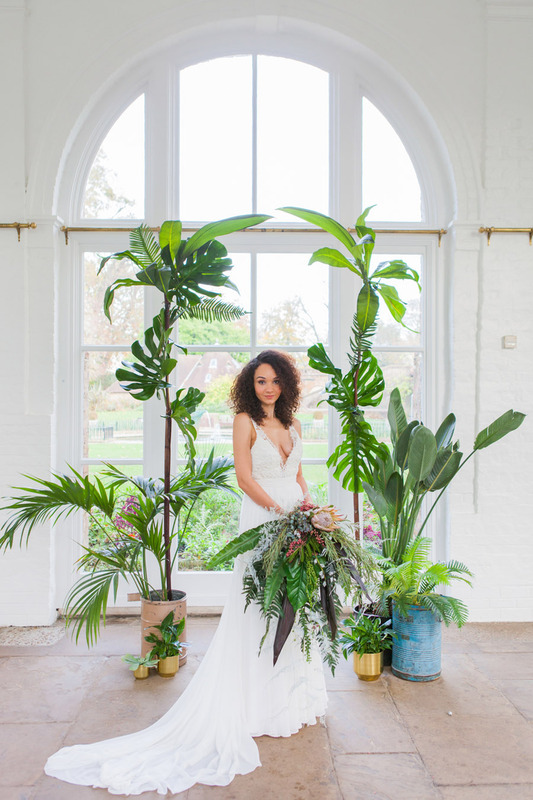 So, fellow plant lovers, here’s how to take inspiration from those tropical houseplants you adore to create a stunning, contemporary wedding style! 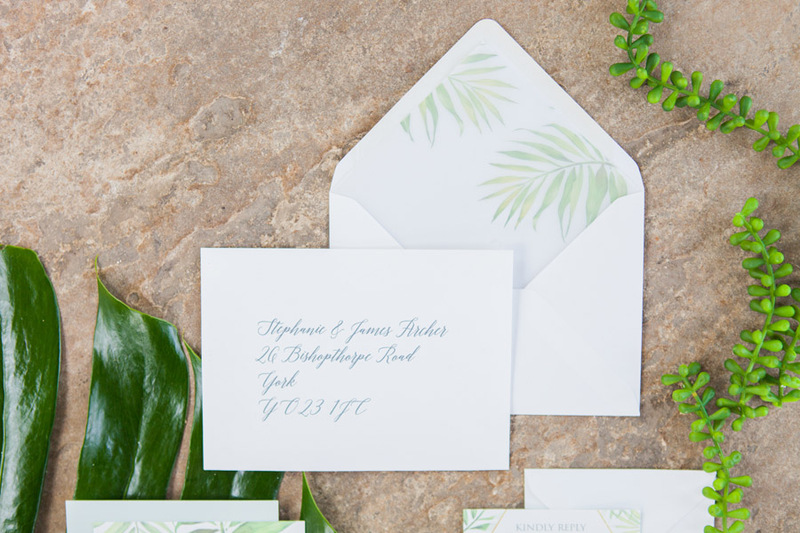 This look is perfect for a city-dwelling couple who don’t really want to get on a plane! 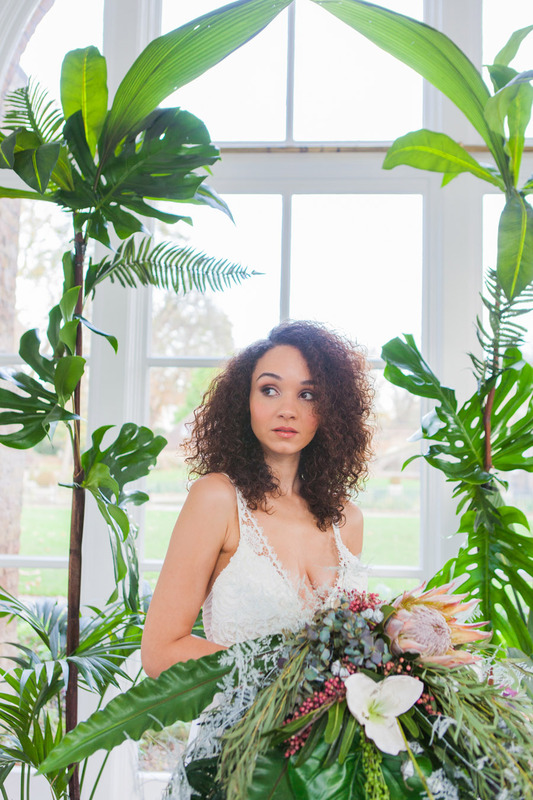 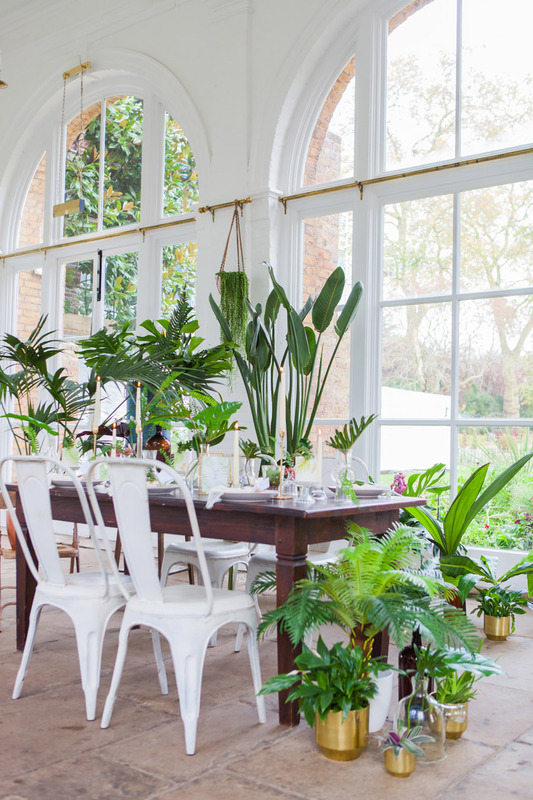 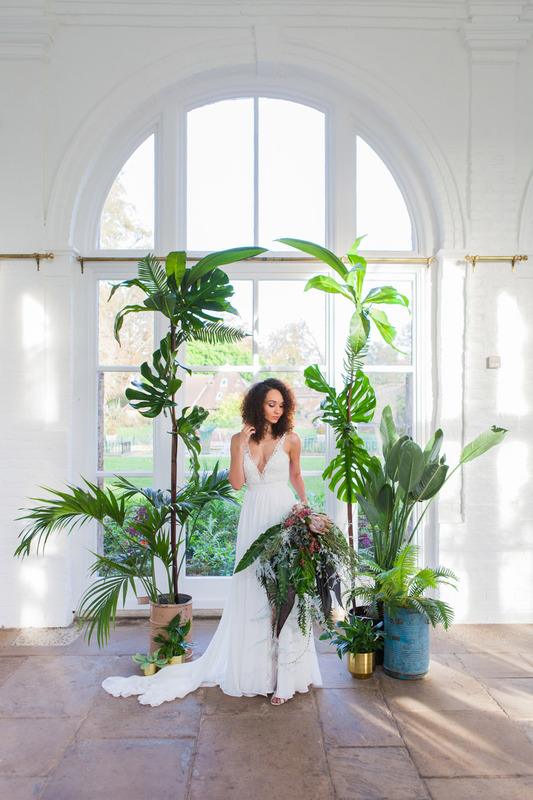 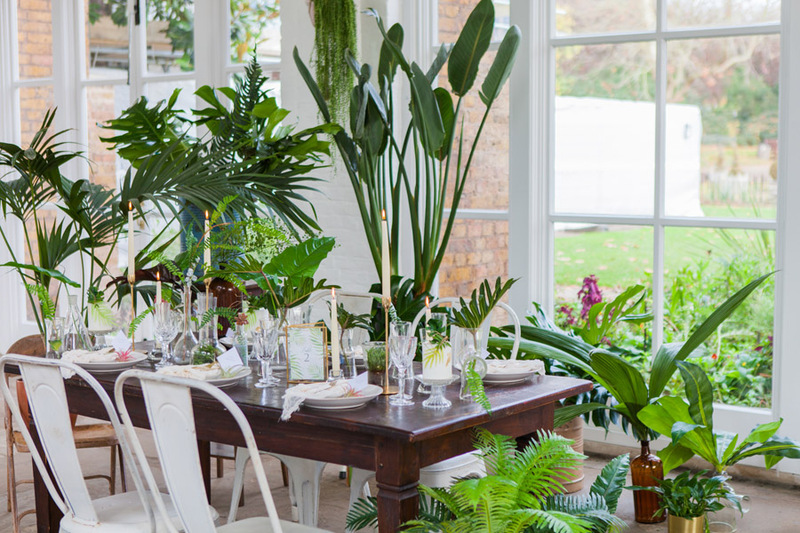 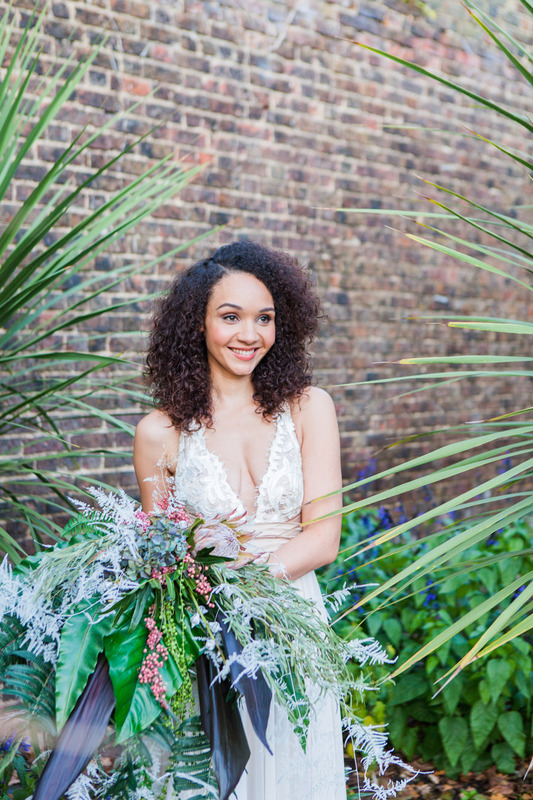 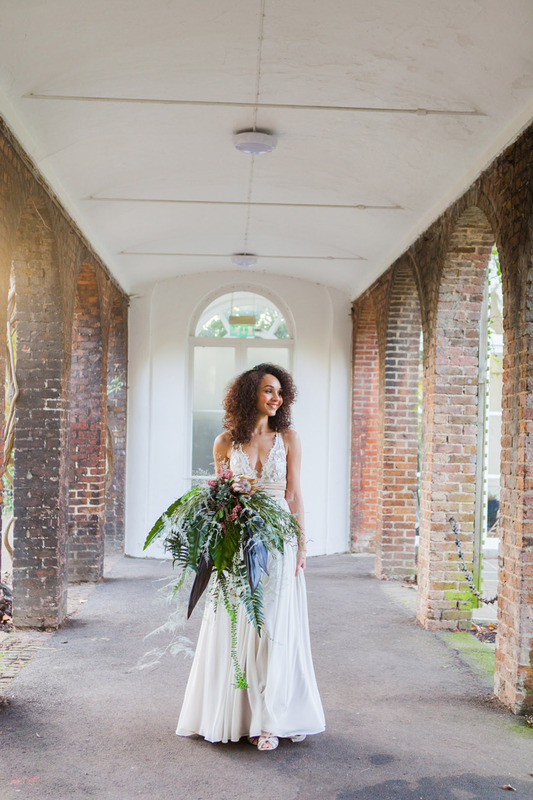 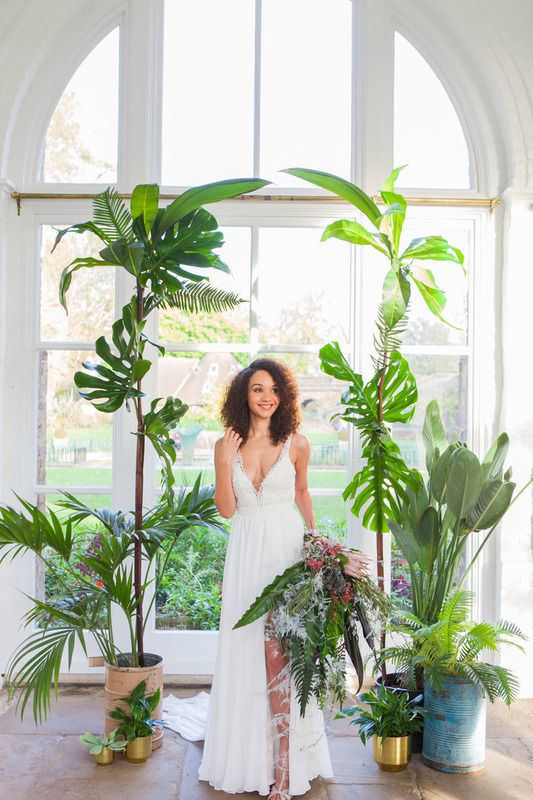 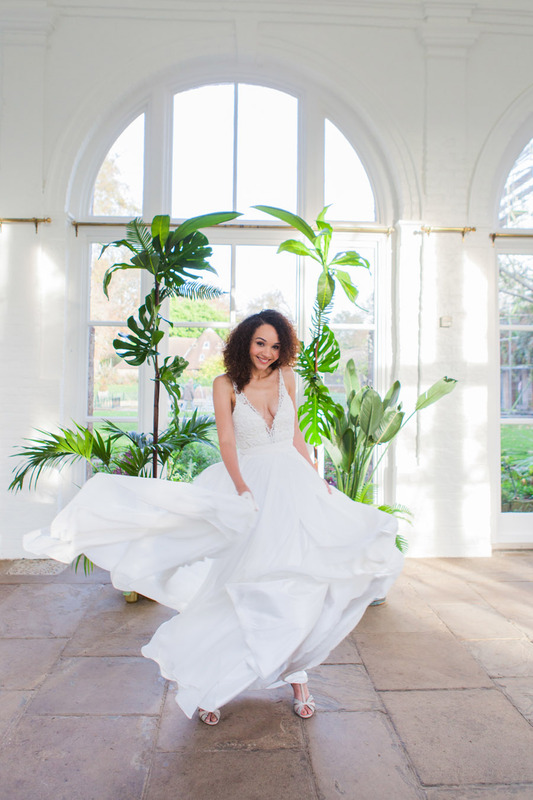 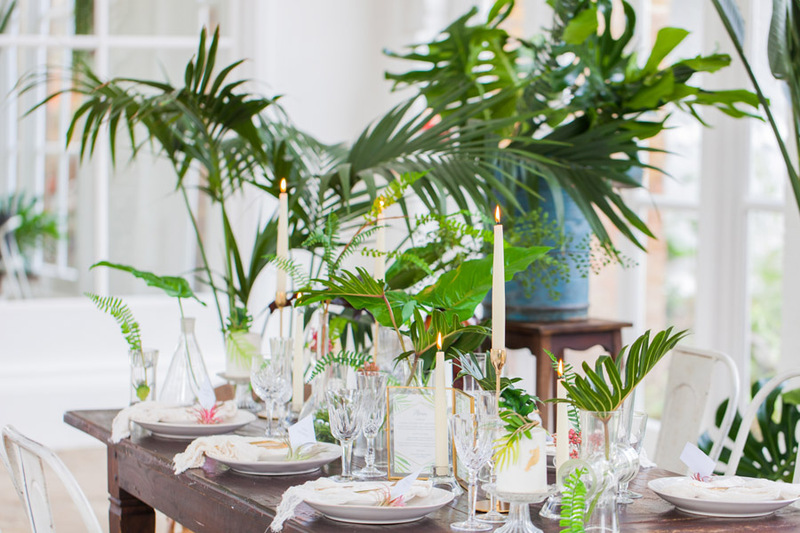 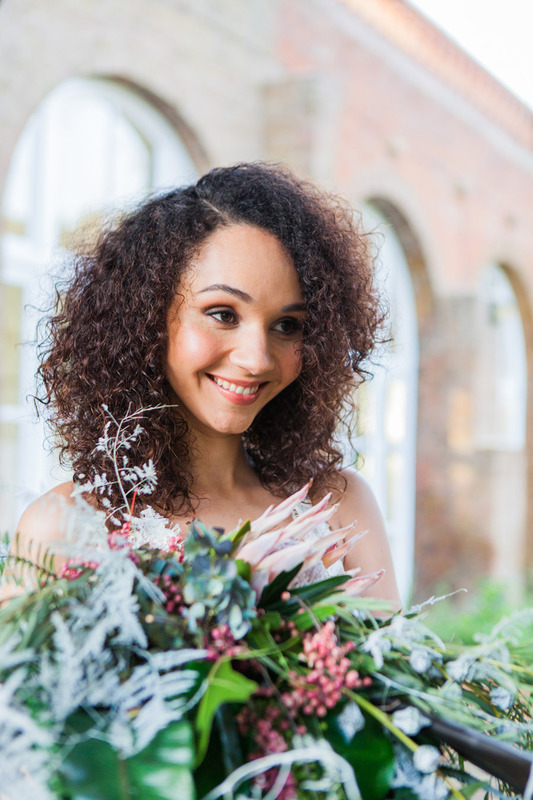 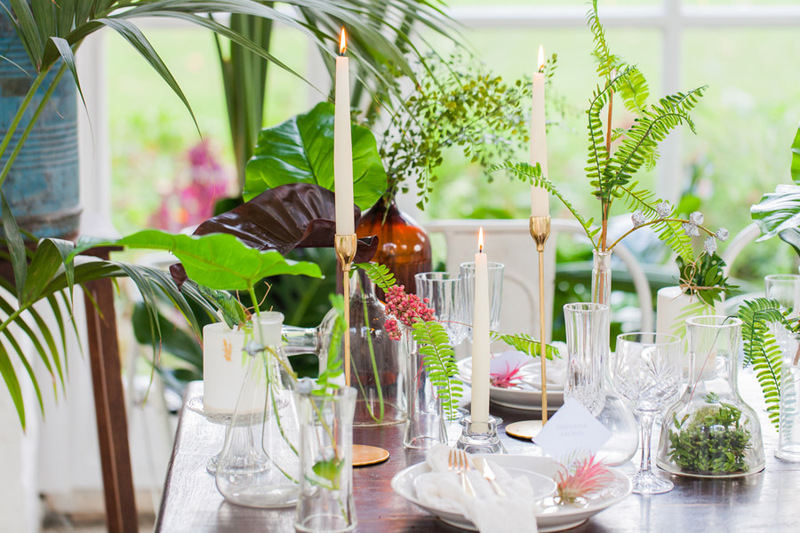 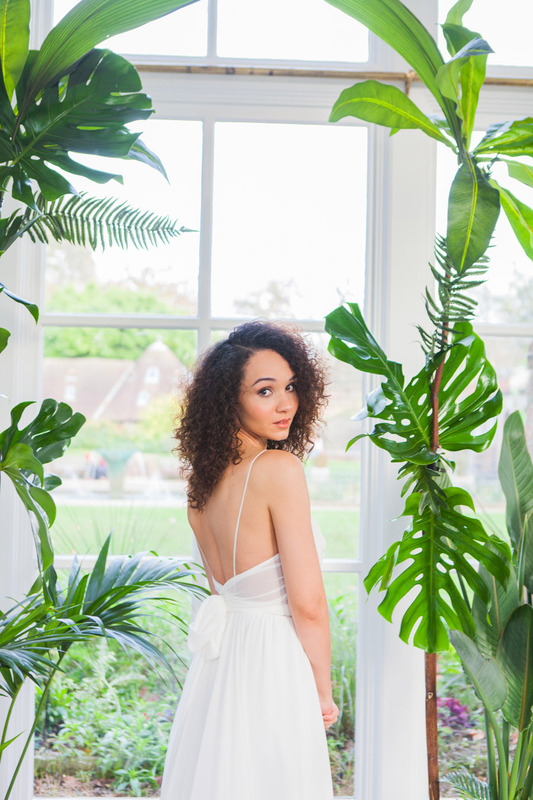 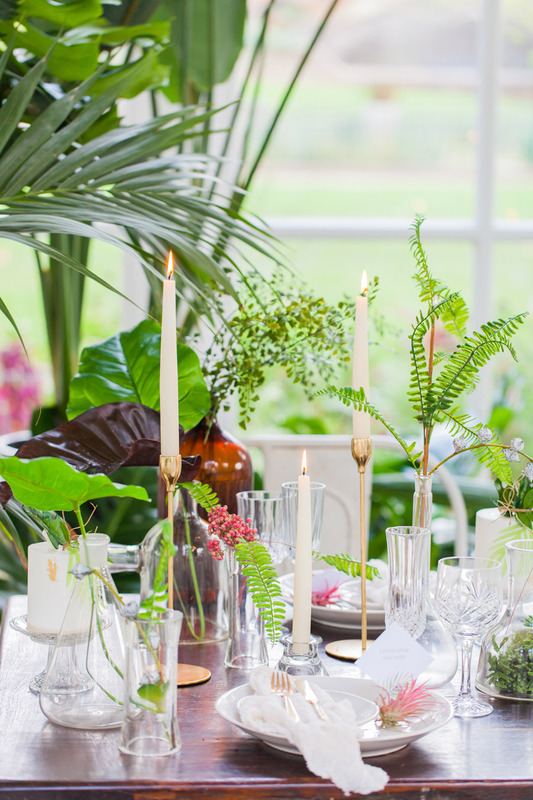 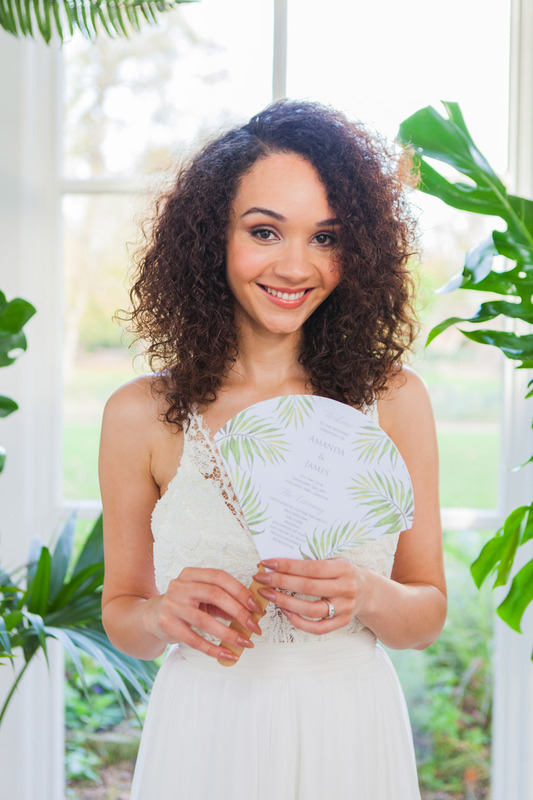 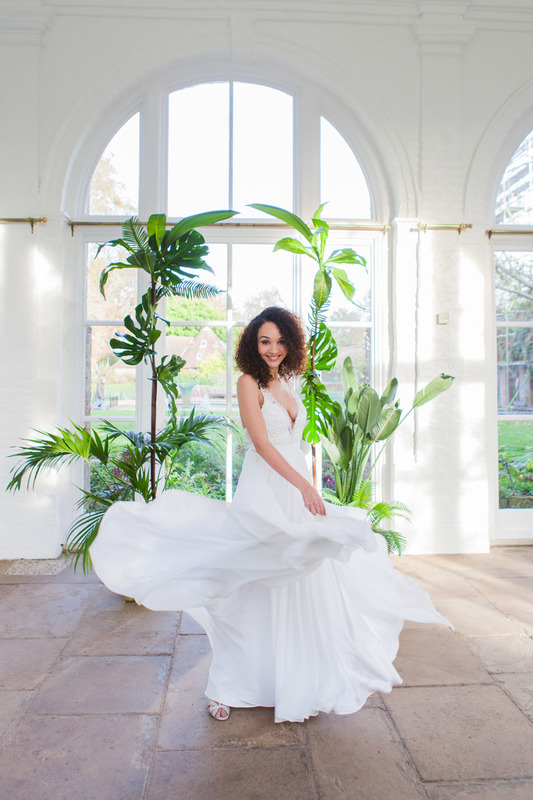 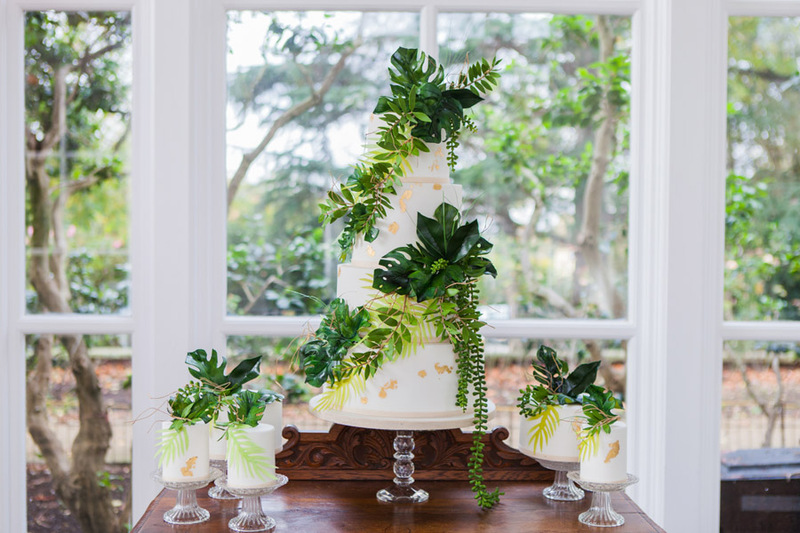 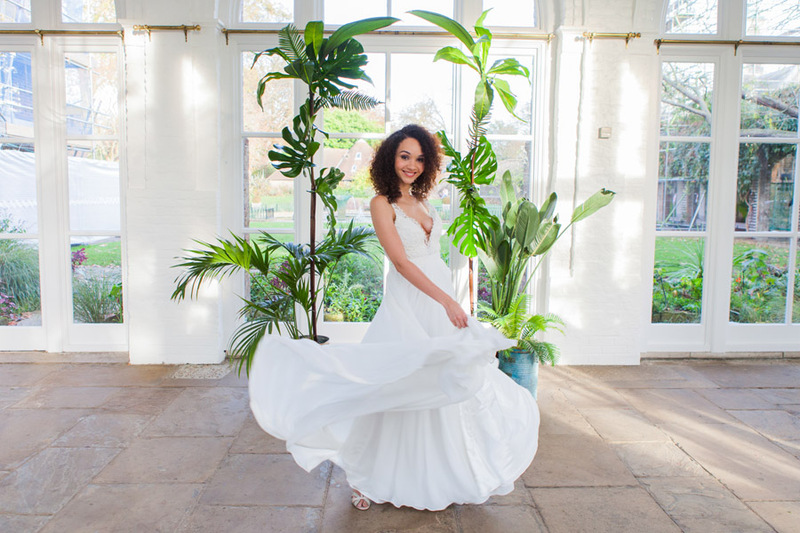 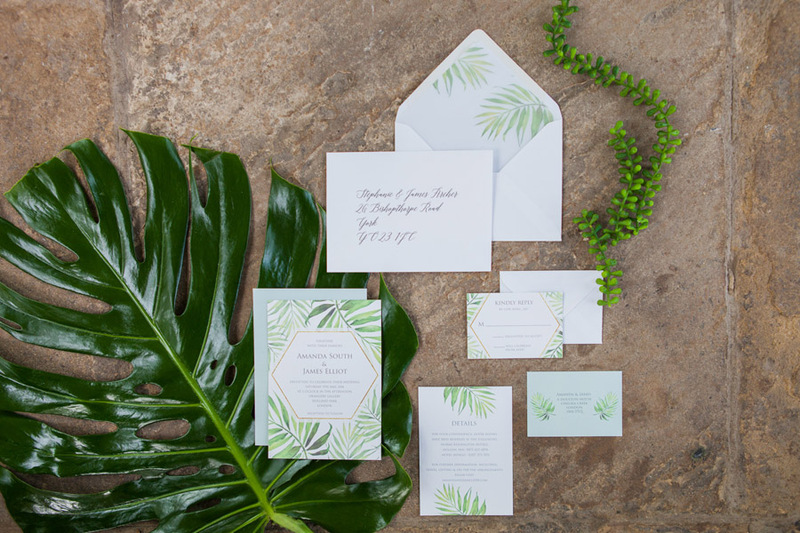 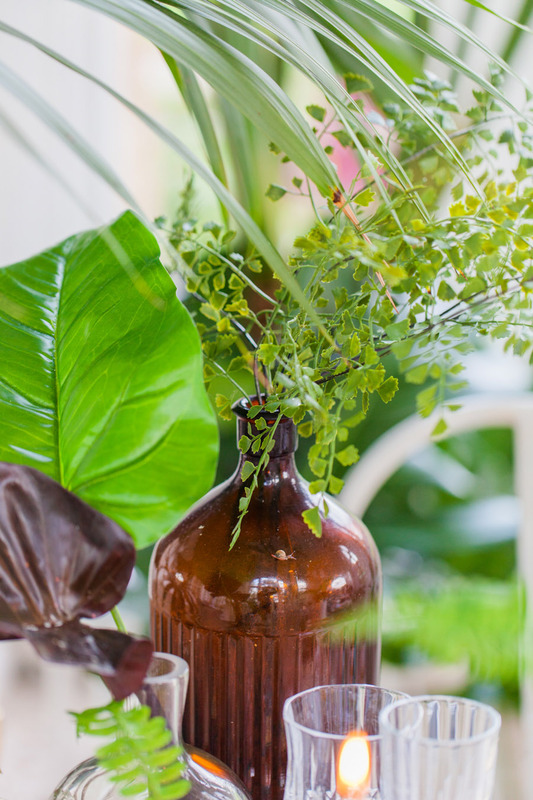 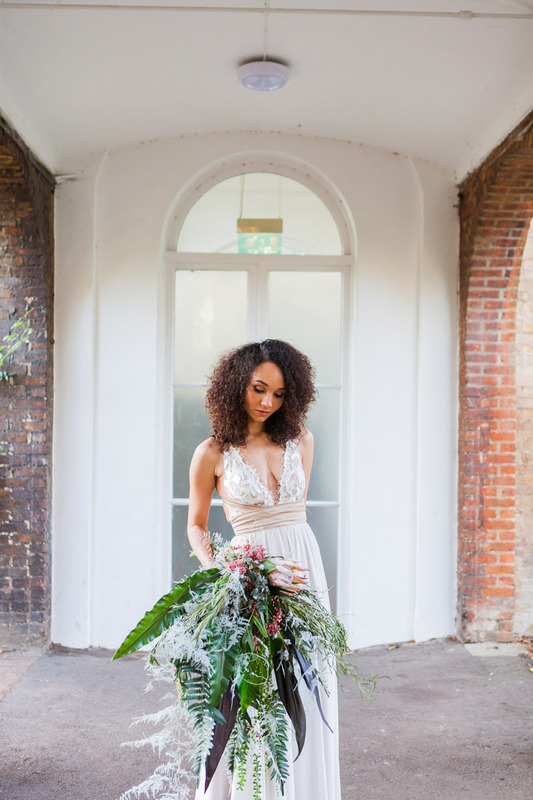 The idea of bringing the warmth and scents of lush tropical plants to the city, whatever the weather, was the inspiration for this beautiful ‘Plantation Chic’ styled London shoot. 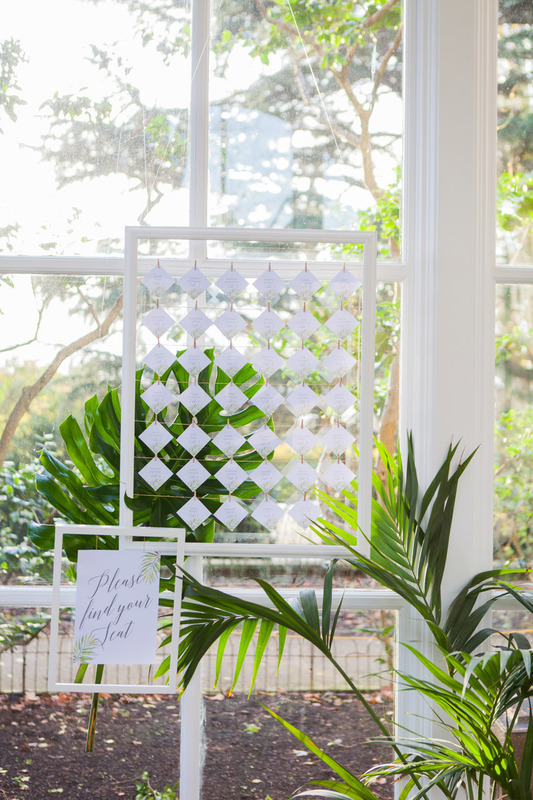 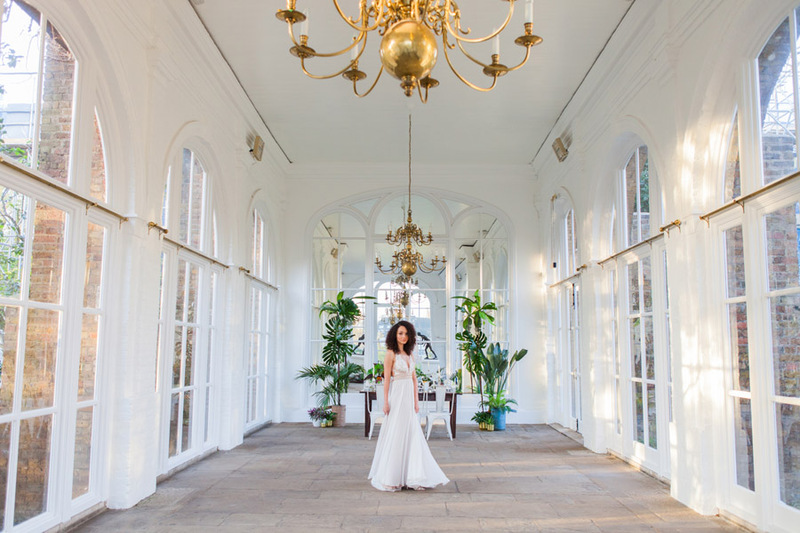 Armed with a dream team of superbly talented vendors and the stunning Victorian Orangery at Holland Park in London, the gorgeous details just unfolded from there. 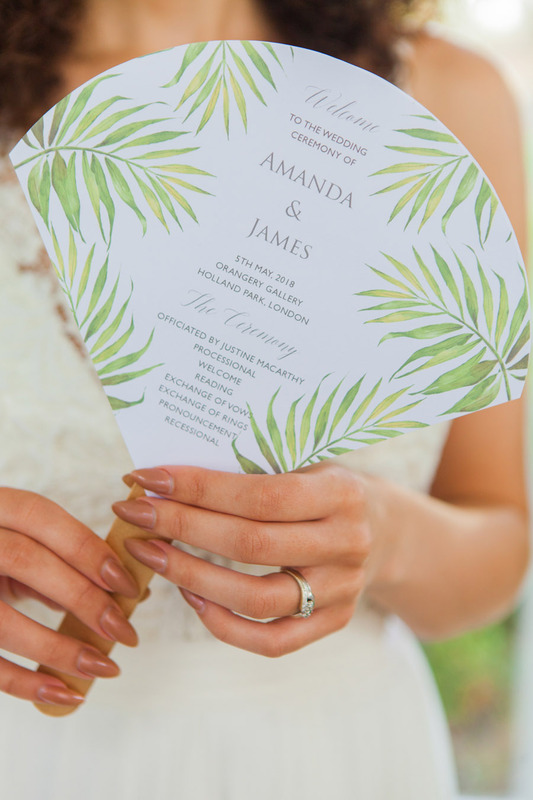 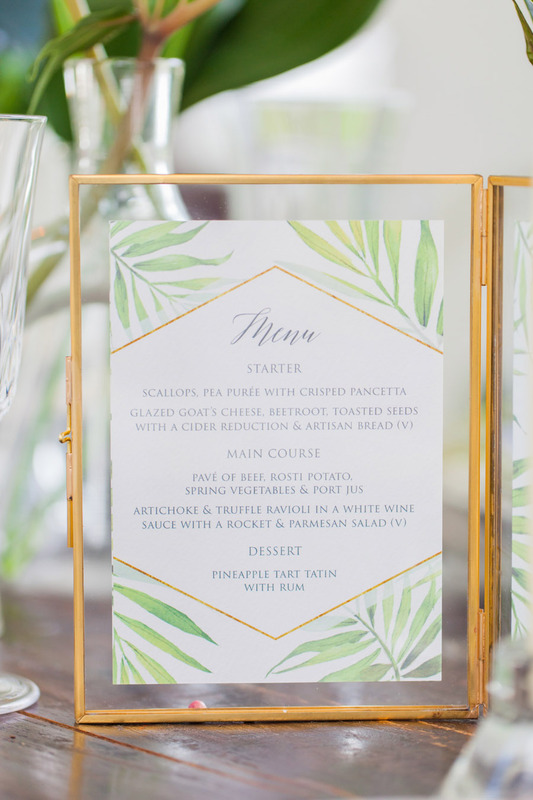 The contemporary faded Coco Palm stationery by Flamboyant Invites provided the creative spark for the shoot, which features creative styling by Always Andri Wedding Design and beautiful images from Amanda Karen Photography. 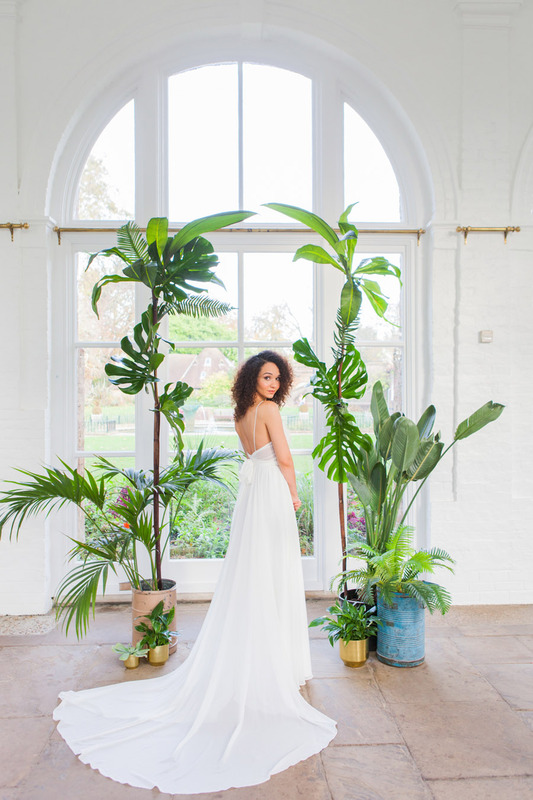 The bridal gowns by Truvelle from Heart Aflutter Bridal exude a timeless and simple elegance and make the perfect for choice for a wedding at home or overseas. 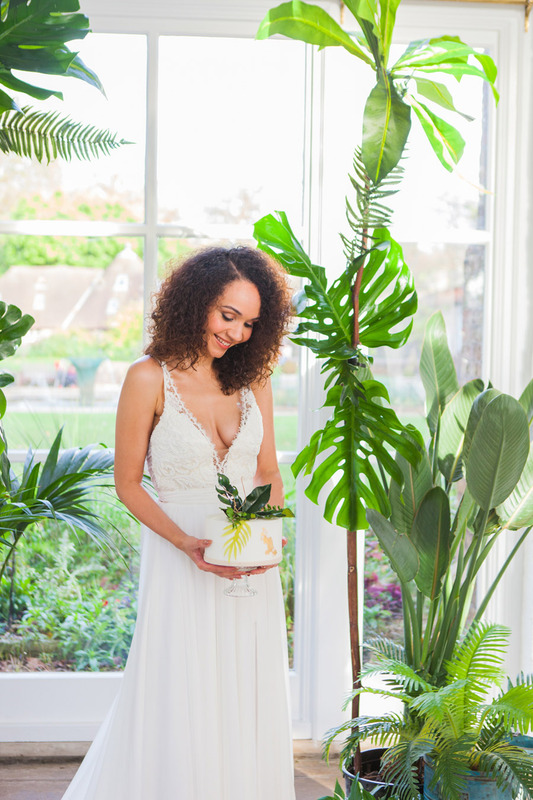 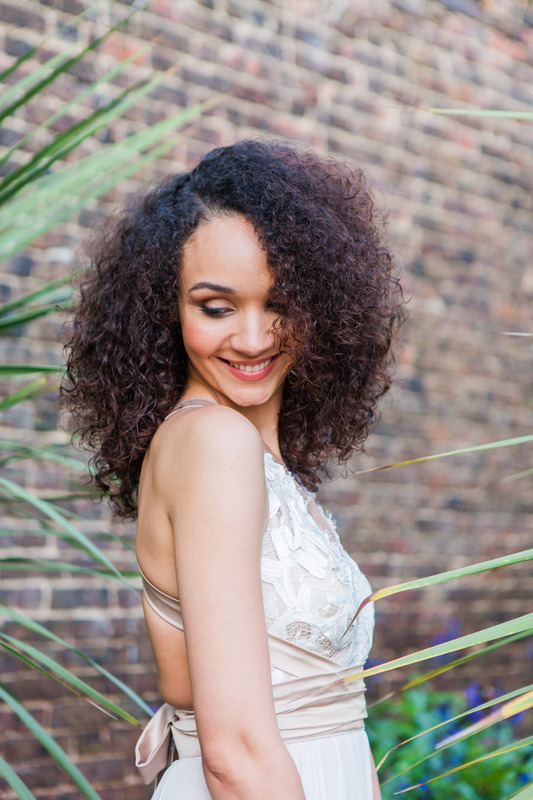 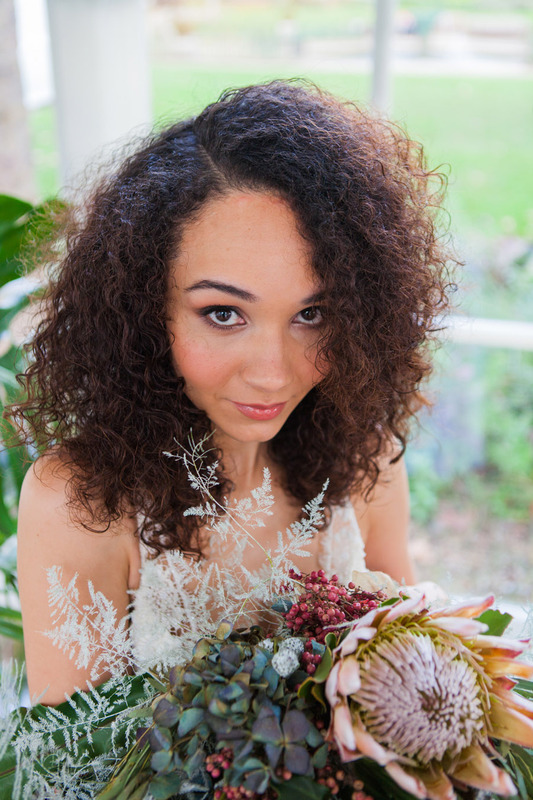 Andri takes the tropical theme trend and makes it elegant and beautiful. 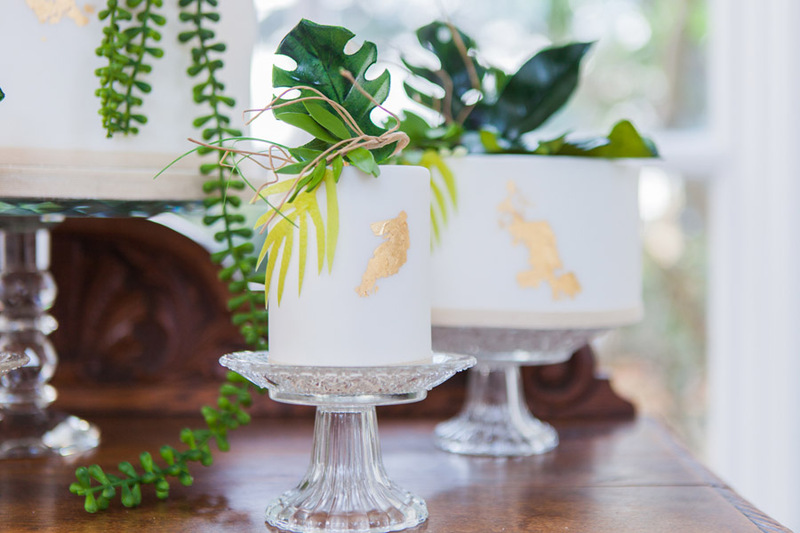 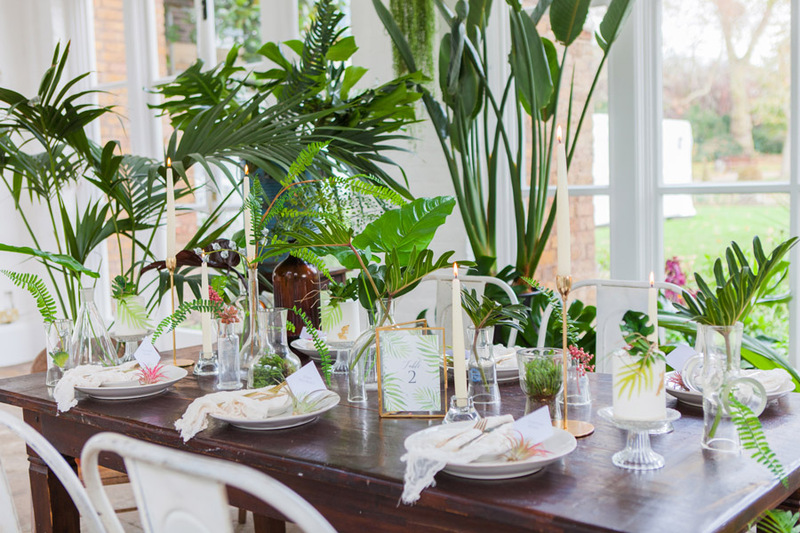 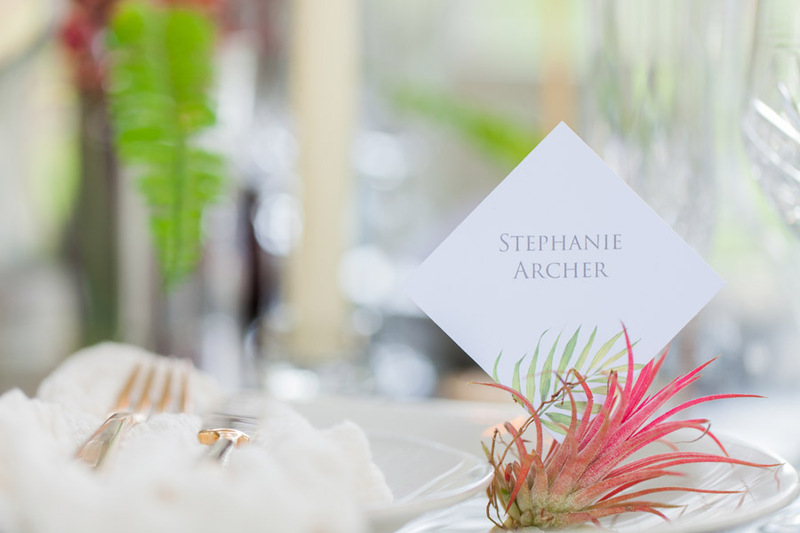 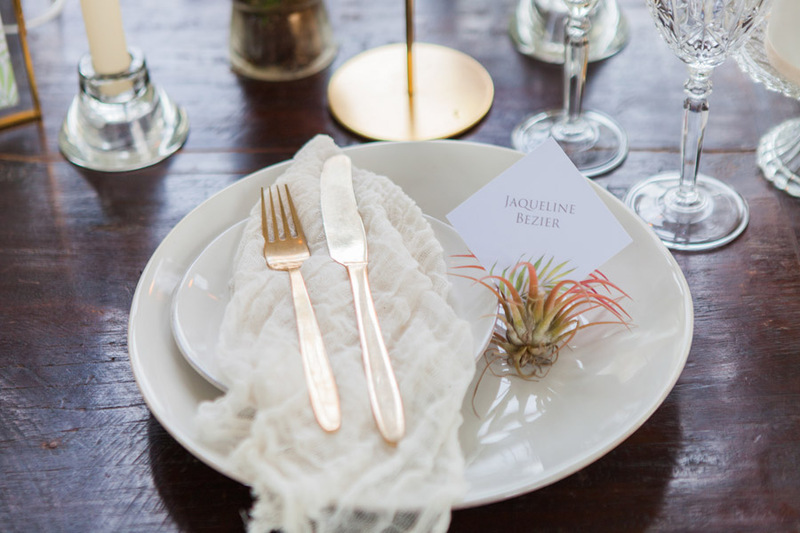 Styling touches include muted tones, beautiful tropical foliage, bare wood, white and touches of antique gold. 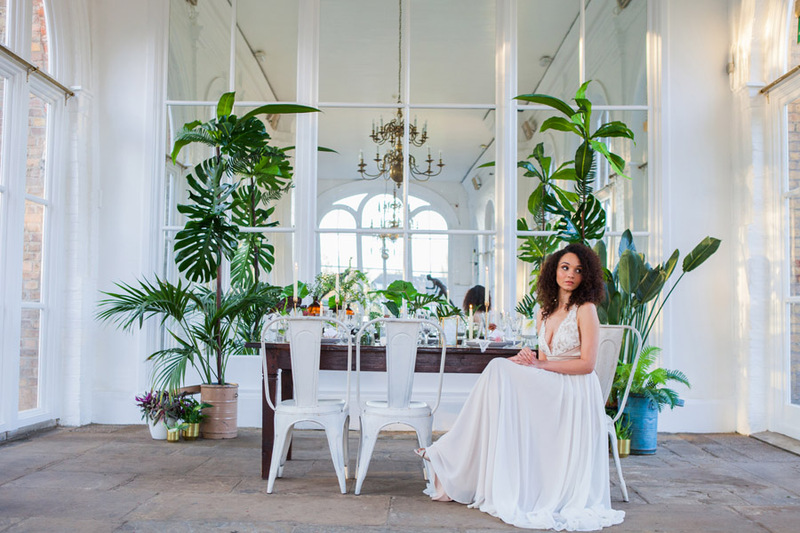 The theme harps back to the Victorian era, when many Orangeries and glasshouses were built to protect citrus trees from the winter weather, and these became a feature of many royal palaces and houses throughout northern Europe. 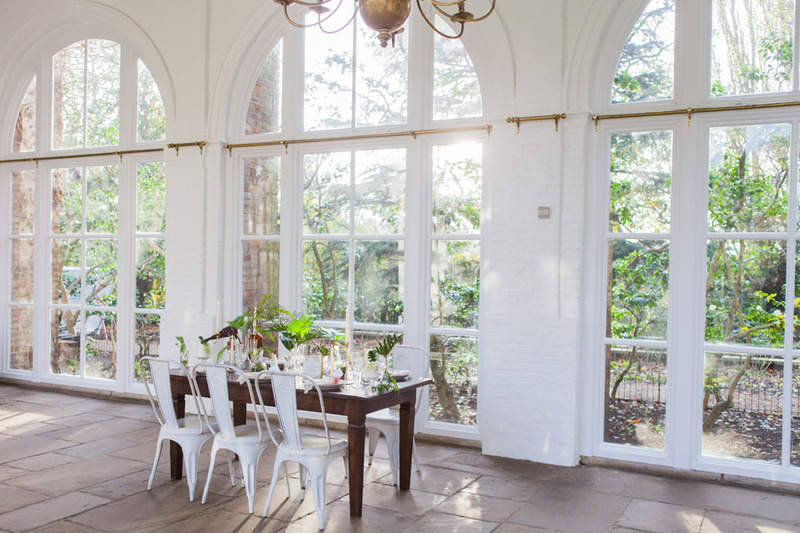 The Orangery at Holland Park is a wonderful and beautiful example of this type of building. 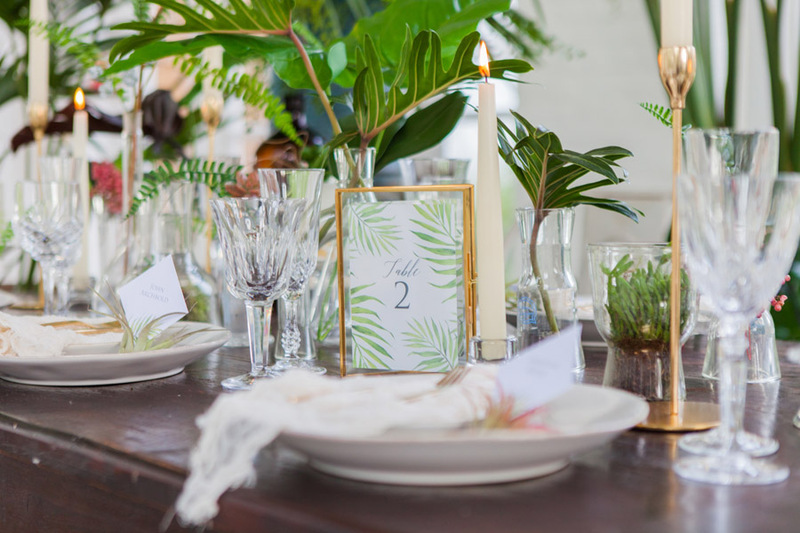 The bare, dark wood tables with white metal chairs, apothecary bottles and glass curiosities with copious amounts of tropical foliage and touches of antique gold reflect the concept perfectly.